United STATES-BASED Chimurenga music icon, Thomas ‘Mukanya’ Mapfumo’s nine-day peace tour scheduled for December will kick off in the Midlands capital at a venue yet to be confirmed, promoters of the show have revealed. After the Gweru performance on December 7, Mukanya will also tour Bulawayo, Beitbridge, Masvingo, Mutare, Kadoma, Kariba, Victoria Falls before wrapping up the campaign in Harare. Chimurenga Music Company and Entertainment Republic are promoters of the show aimed at promoting peace among Zimbabweans. Entertainment Republic lead promoter, Max Mugaba said the Chimurenga music guru decided to start his performance in Gweru as it was a “special place” for him. “Gweru is a special place to kick-start the show and as you know one of Mukanya’s greatest fans, the late Edmos Pazvakavambwa hailed from here (Gweru),” Mugaba said at a Press briefing yesterday. 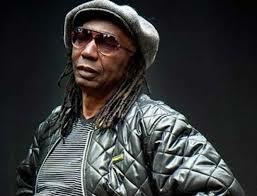 Pazvakavambwa popularly known as Bla Eddie in music circles used to trail Mapfumo to his shows and used his spare time to collect Mukanya’s music such that it earned him the tag of unofficial ambassador of Chimurenga music. Mugaba urged fans to come in their thousands, adding that a 15-member Chimurenga band would play during the shows. “Mukanya and his 15-member band are synonymous with quality and we expect thousands of fans to attend. The show is not only about promoting peace and a chance for the Chimurenga guru to meet his fans, but also to domestic tourism,” he said. Mugaba said tickets would be selling for US$10 and that so far five artistes had applied to be Mukanya’s supporting acts during the Gweru show.